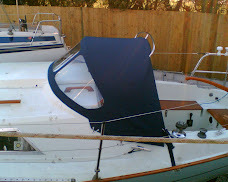 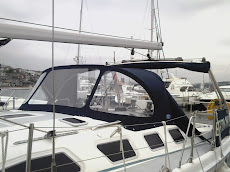 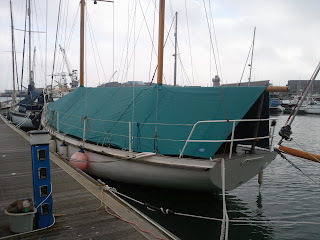 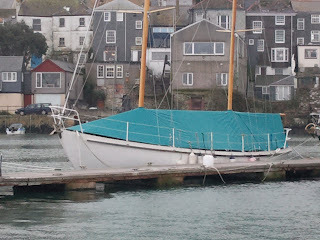 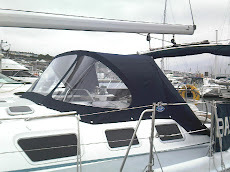 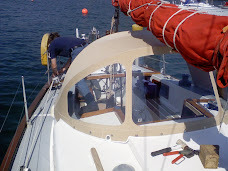 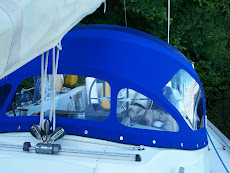 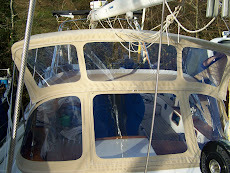 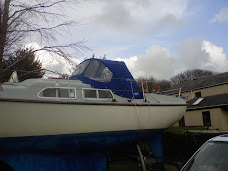 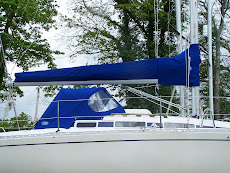 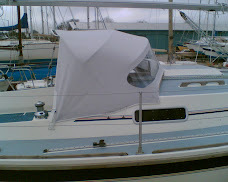 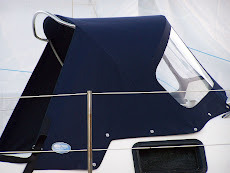 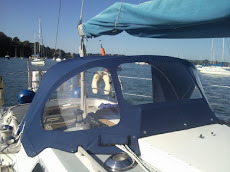 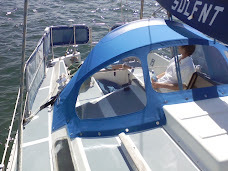 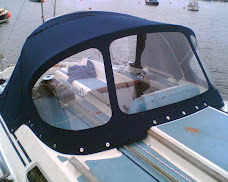 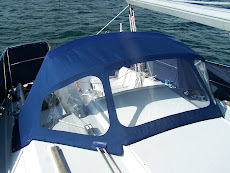 Although this looks like a winter cover, it has another use, as the owner needs to be able to work on deck without getting wet! It also creates additional storage, so that while the interior is being refurbished, everything can be stored on deck under the cover. 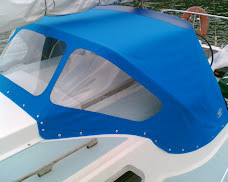 The cover is in three parts, very lightweight being made of topgun fabric, and packs up into three small bundles for storage when not in use.